In my one year of motherhood, I’ve had many proud mommy moments and I’m sure I have even more to come. Hands down my favourites are when Kai points to his bookshelf or grabs a book and shoves it in my hand to read to him. I started reading to him when he was about two months old, and almost every day since he was three months old. I’m personally a wannabe book worm. I’ve always loved going into a bookstore and holding the new books. With my dad being an avid reader, I’ve always envied that I just didn’t naturally get his reading bug gene. So I vowed to encourage my children to read regularly, starting them as young as possible. National Book Week (4-10 September 2017) is an initiative aimed at encouraging the country to incorporate reading as a regular activity. 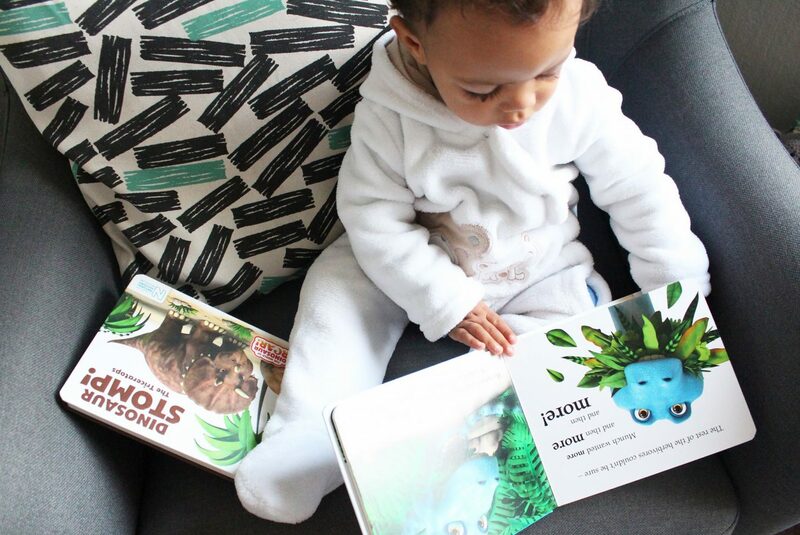 As few as 14% of South Africans are active readers, and only 5% of parents read to their children. I’ve always known that reading is extremely beneficial for all of us but there are so many benefits particularly children. In this day and age of multiple screens, I love the idea of being old school and sitting with my boy, reading him a good story. There’s so much joy in my heart when he engages with the book by touching it, turning the page, opening up flaps and doing the actions encouraged by the book. I’m so excited about this giveaway. If your little one is an upcoming bookworm like my Kai, you need to get your hands on this set of books. The Pat-a-Cake books from Pan Macmillan are a new collection developed by researchers and child psychologists. They’re specifically made for little ones and cover five major milestones from 0-6 years. Recognising that some parents would like to read with their children but may not know how to, each book is very interactive and has prompts for parents to follow to get their children engaged in the book. 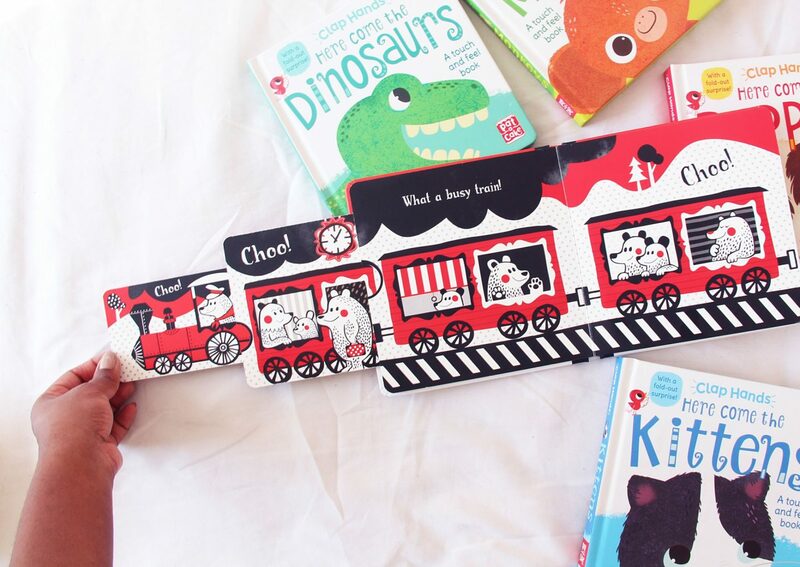 The range has a mix of touch and feel, pull the tabs, nursery rhymes as well as counting books. There’s a collection for different ages, to suit the specific reading needs and abilities of the child’s age group. They’re also all sturdy and easy to wipe clean – cos we all know how messy those little hands can get. 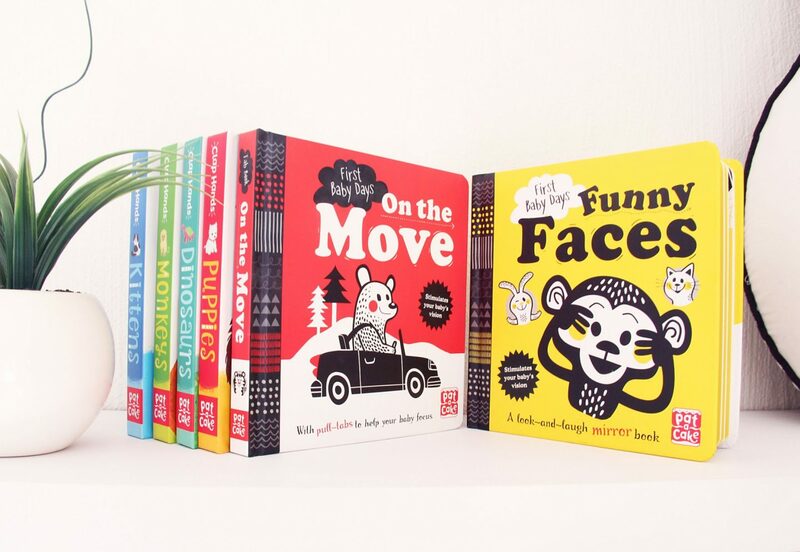 Kai and I are currently loving On the Move and Funny Faces (pictured below), both board books illustrated by Mojca Dolinar. These books stimulate early learning and visual development. I love the high contrast illustrations, the bold colours and the fun, cute characters. Kai is even doing some of the actions on his own already, without me even prompting him. I especially love their modern and minimalistic style. I’m actually thinking of doing book reviews as a segment here, so let me know if you’d find that helpful. 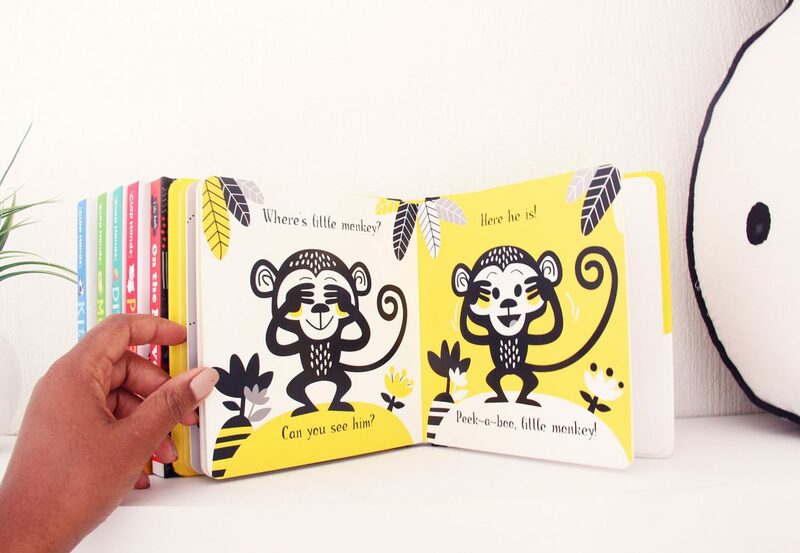 WIN a hamper of Pat-A-Cake books worth over R500! 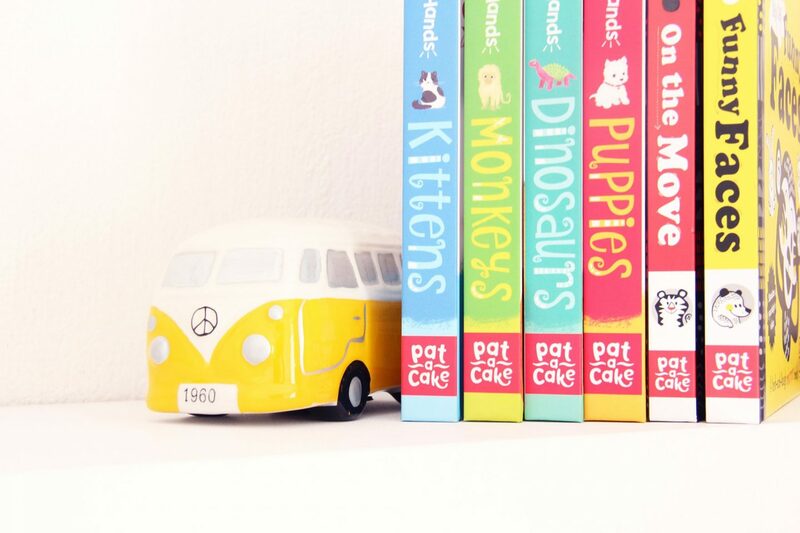 To celebrate National Book Week, I’ve partnered up with PanMacMillan Books to give two lucky blog followers a hamper of their brand new Pat-A-Cake books, worth over R500 each! This giveaway is extra exciting because you can up your chances of winning by entering the giveaway on all of my different social media platforms (I’m giving away a total of 5 hampers across my platforms). In the comments box below, name one good reason to read to your child. For extra chances to win, enter the giveaway on Facebook, Instagram, or Twitter. Good luck, and here’s to raising readers! Hi Aisha, in which store can I get these books? Hi Phyllis, you can get them in any big bookstore – Exclusive Books should have them. In our home, reading is a must & we all look forward to story time, apart from me reading to my children for the obvious reasons of empowering them intellectually & helping them cultivate a healthy imagination I also encourage them to read together & use reading as a bonding tool. There is a big age gap between my children, the elder son being 11 & the younger being 2. Having my 11 year old sit & read to my 2 year old really helps them bond as it is one of the few common ground activities they can do together & as a mother it truly is a beautiful sight watching them grow & read together. Helps a lot to learn colours and builds vocabulary and also we get to bond more. I have been reading to my son since I was pregnant and I aim to continue that as it improves his vocabulary and it’s an important bonding time with him. Not only do we already read books to both my kids my 1 year old son is able to feel the same joy I feel everytime I open a book. The scent of a book, the joy of turning the pages, the sense of adventure they feel, the eagerness to want to know what happens next, the touchy feely experience of an actual book is priceless, and the new words and phrases they learn. It helps expand their vocabulary and exercise their imagination, it’s a awesome way of bonding and going on adventures together. reading is a great way to bond with my kids, it improves their vocabulary and their imagination. Helps to motivate a love for reading in a precious child. Reading is really wonderful and by reading to a child it motivates them to want to read and instill a love for reading.
. Improved MY vocabulary but most importantly helps him build his. Reading helps stimulate early learning and helps grow the child’s imagination. My son is almost 10 months old and I read to him every night. He finds it lots of fun and I enjoy bonding with him! Would love to win the lovely hamper. Reading helps to improve a child’s imagination and improves intelligence. It helps to build a child’s vocabulary as well as make them use their imagination. It expands their world in more ways than one so that their dreams are not limited by to their immediate environment. These look amazing. Unfortunately I am not an SA resident but at least I know. Reviews would be so helpful- looking for reading material for our baby but don’t even know where to start. One good reason for reading to my child would be the wonderful chance we get to share adventures that comes from the books, intrigue from the plots and characters, and emotion. This is all accomplished without having to leave our room, which is priceless for me and allows us to bond very well. It helps to build my child’s vocabulary.